Greenpeace activists, in solidarity with Indigenous water protectors, protest outside a Citibank branch in Washington, DC. Citibank is one of the twelve ‘Dirty Dozen’ global banks that must cut its funding to tar sands oil pipelines. 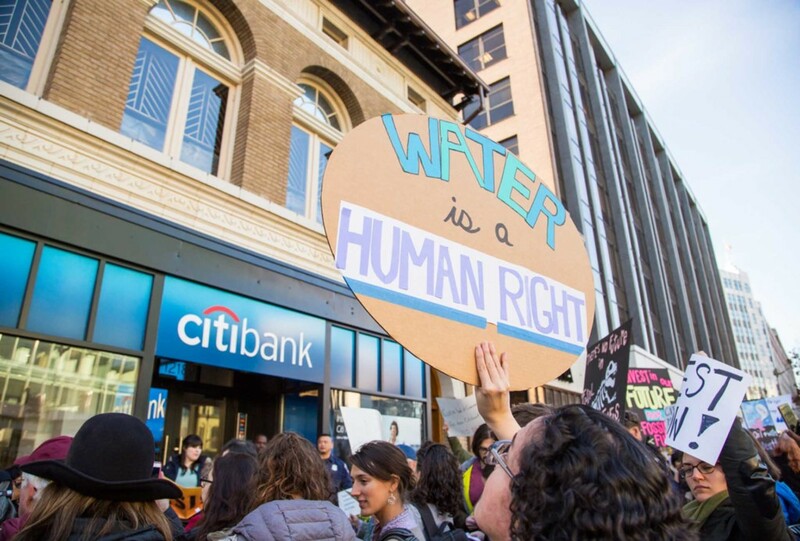 Citibank is one of the largest institutions and creditors of the Dakota Access Pipeline. The construction of the Dakota Access Pipeline has led to the brutalization of peaceful water protectors at Standing Rock, North Dakota. Oil companies are attempting to build dangerous pipelines across North America that cut through land, threaten Indigenous and human rights, put drinking water and wildlife at risk, and contribute to climate change. This includes Energy Transfer Partners, the company behind the Dakota Access Pipeline, which is suing Greenpeace entities and others for $900 million for showing solidarity with the Indigenous-led movement at Standing Rock. 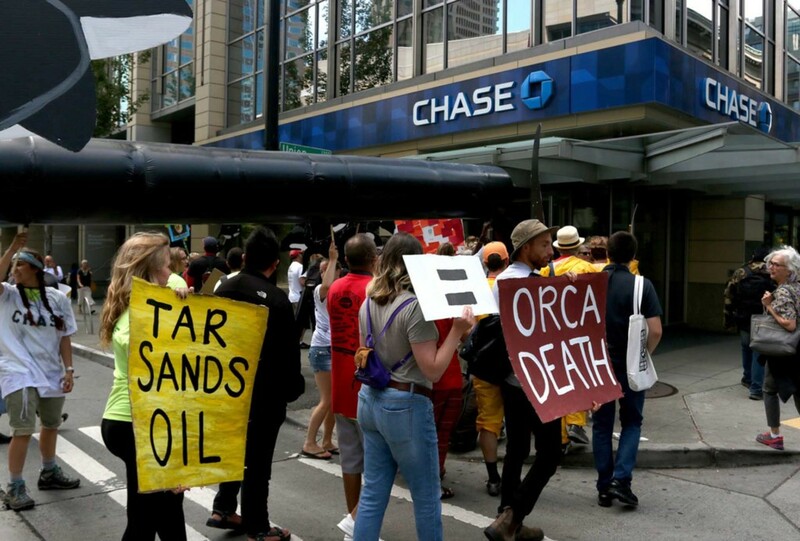 It also includes the Trans Mountain Expansion, which could poison the water and threaten endangered orcas with extinction. Some of these pipelines will transport some of the dirtiest oil on the planet, which we can’t afford to burn if we want to avoid the worst impacts of climate change. But these pipeline companies need financial support from global banks to succeed. If it’s hard for them to get the money, it’s harder for them to build the pipelines. That’s why people around the world are asking the ‘Dirty Dozen’ global banks not to fund tar sands pipelines or Energy Transfer Partners. As some of the world’s largest financial institutions, these banks care about their public reputation. If people around the world send a clear message to banks, we can show them that these oil pipelines are toxic for the planet and their brands — and stop dangerous pipelines from being built in the first place. That’s where you come in. We need you to put the pressure on the ‘Dirty Dozen’ banks by flooding their social media with the feedback they deserve for funding toxic pipelines and violating human rights. Step 1: Head to the Facebook page for one of these global banks. If you’re a customer, you can also look for your local bank branch! Step 2: Leave a public comment on their most recent post telling them what you think about their financial support for climate-wrecking pipelines. Not sure what to say? Here are some suggestions for what you can write. The company behind the Dakota Access Pipeline, Energy Transfer Partners, is trying to silence speech with a $900 million baseless lawsuit. Don’t fund Energy Transfer Partners and their pipelines! Oil pipeline companies are constructing pipelines and risking oil spills on Indigenous territories and violating Indigenous rights. Don’t fund these devastating projects! Oil pipeline companies are constructing dirty pipelines that threaten our water, could harm wildlife, and contribute to climate change. Don’t fund these dangerous pipelines! Oil pipeline companies are constructing new pipelines which will carry some of the dirtiest oil on the planet, reducing our chances of avoiding the worst impacts of climate change and affecting millions of people worldwide. Don’t fund these pipelines! Step 3: Let us know how it goes! 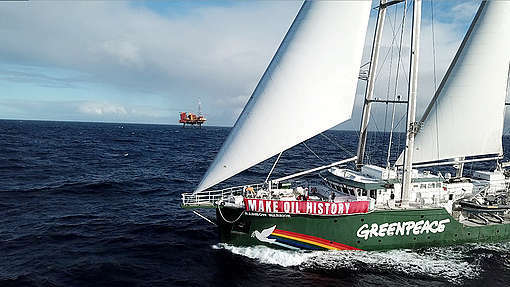 Find Greenpeace on Facebook or Twitter and tell us about your interaction with the banks. 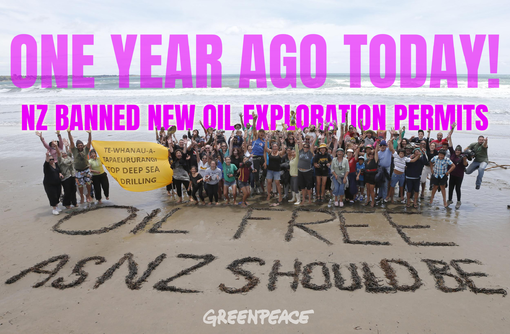 Use #StopPipelines and bonus points for including screenshots of your comment! 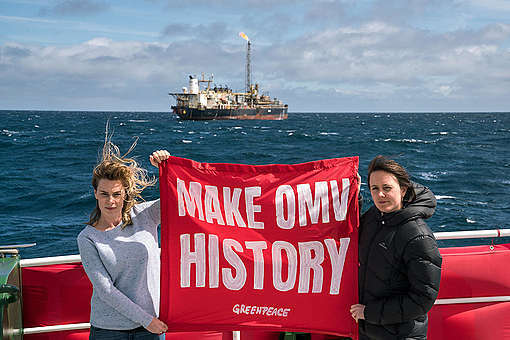 Molly Dorozenski is a global project leader at Greenpeace USA working on oil pipelines.